Artist impression of the future Pohjanmaa-class-corvette. Finnish Minister of Defence Jussi Niinistö authorised, on 21 February 2019, the country's Defence Forces Logistics Command to procure Raytheon's Evolved SeaSparrow Missiles (ESSM) as part of the surface-to-air missile system (ITO20) for the Pohjanmaa-class corvettes of the Squadron 2020 project. 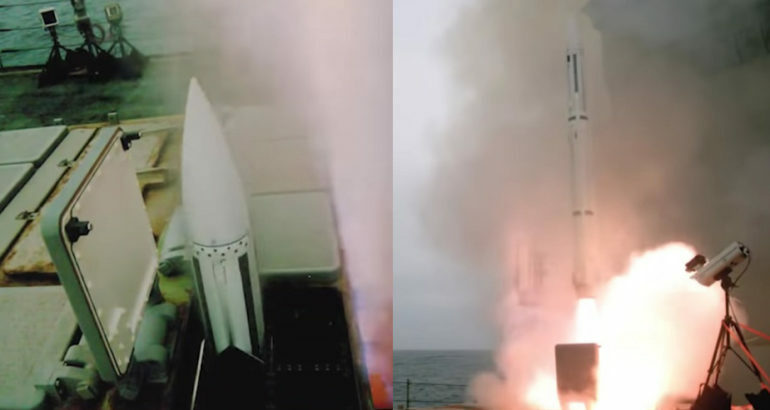 The ITO20 system will consist of Evolved SeaSparrow Missiles (ESSM), launcher units, spare parts, required supplementary parts, and the related software package. The ITO20 system will be installed in all four Pohjanmaa-class vessels. The number of missiles to be procured is not public information. The entire system will cost EUR 83 million, without value added tax, and it will be procured from the United States defence administration through a government-to-government agreement. The ITO20 system is an integral part of the combat system in the corvettes; surface-to-air missiles protect the vessels’ own operations and make it possible to protect other sites or operation of troops. The ITO20 system improves the Finnish Navy’s capability to participate more effectively in national air defence and protect important sites. IAI Gabriel anti-ship missile system and Saab Torpedo 47 weapon system have already been procured for the corvettes. 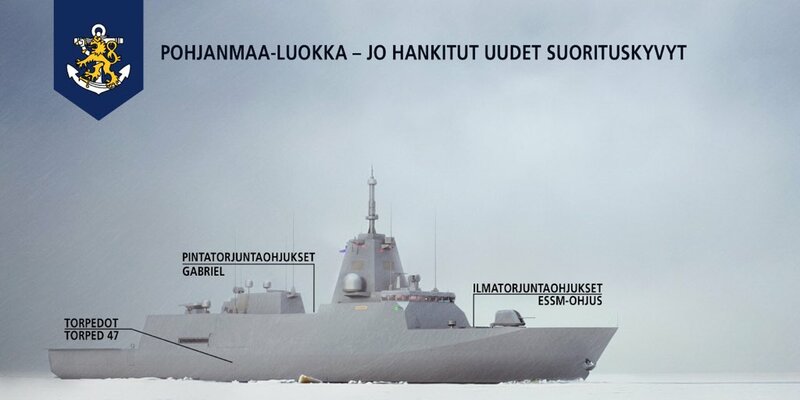 Together with the existing four Hamina-class missile boats, the four new corvettes will form the backbone of the Finnish Navy from the mid-2020s onwards by replacing seven older vessels that have been or are due to be decommissioned: the minelayer Pohjanmaa, two Hämeenmaa-class minelayers and four Rauma-class missile boats. The Pohjanmaa-class corvettes will be constructed in Finland for reasons of security of supply. The combat system, in other words the weapons and sensors, will be procured from overseas through a separate tendering process. 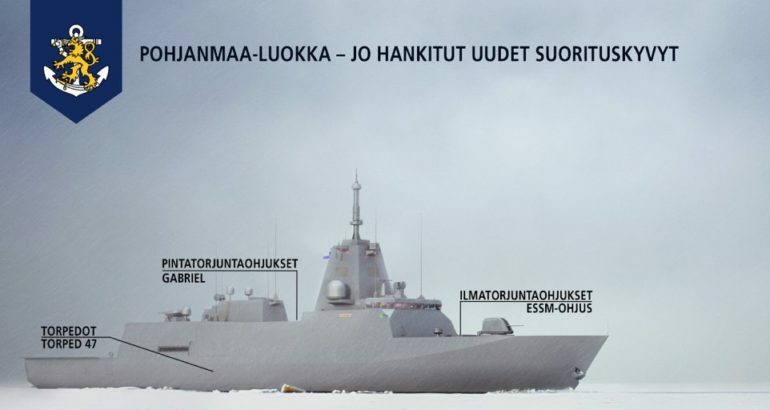 There are on-going negotiations on contracts for the Pohjanmaa-class shipbuilding and combat systems. The process of completing an extensive contract with a number of parties has required special diligence and has therefore also taken more time than expected.